Youth sells. We buy into it from adolescence up until we're not so young at all, everyone wanted a piece of it this September at London Fashion Week. But what is fashion's obsession with youth and how long can it last? Sofia Coppola’s ‘The Virgin Suicides’ was the basis of my school day evenings, and the soundtrack by AIR my weekends. The AW88 Commes de Garçons campaign featuring two laughing sisters with braces remains iconic today for it’s anti-commercialism. Fashion in particular has an unwavering obsession with youth, from the nostalgic aesthetic of Juergen Teller’s photographs for Westwood and Marc Jacobs, to Tyrone Lebon for Stüssy today. Granny cardigan trends aside, its attraction is yet to fade. Hence this fashion week saw Burberry dig into their own archives, bringing their camel check back in full glory, appropriating both their own heritage and British youth culture. By featuring a legion of patterned caps in their September 2017 show, Burberry was making a nod to noughties British street culture, and the period of ‘chav panic.' This involved a strong fear of Daniella Westbrooks in top to toe Burbs; Burberry were horrified their caps were an affordable staple for working class football hooligans, which lead to knock offs and a fall in sales. The iconic print was whisked out of stores, and neatly folded deep inside the panelled wardrobes of Britain’s elite. But with falling sales once more, Bailey understands that if there’s one thing that sells more than youth, it’s irony. Gosha Rubchinskiy's collaboration with the brand back in June was just a teaser. At the weekend, Bailey unveiled macs and hats from left to right coated in the print, matched with knits and costume jewellery. “Haute Chav[s]” as Laura Weir aptly wrote. A clash of high and low culture, appropriated exactly to Burberry’s liking. There wasn’t a knock off in sight, and the clever part? It’s at a price range only Bailey’s preferred Burberry customer can afford. "Youth is the future" Bailey states, and heritage brands must stay relevant to them. An appeal to youth is exactly what will sell the Burberry checks, along with its past making it a niche collectors item. Christopher's take on the Burberry check however, came in a collection that was a mish mash of references about Britishness; there were big white stock ties and military jackets, aside from the 'chav' hats, and the casting wasn't as white washed as Rubchinskiy's. "It's an eclectic mix of everything I love about Britishness...the opulence, the working class." Although naive in objectifying class and treating it like a trend, the brand's brilliant photography exhibition, ‘Here We Are’ , at Old Sessions House in East London, reveals it to be a carefully crafted documentation of Britishness, with a cool young attitude, steeped in both heritage and irony. Old Sessions House in East London, a Georgian build former courthouse, is currently the site of the 'Here We Are' exhibition. 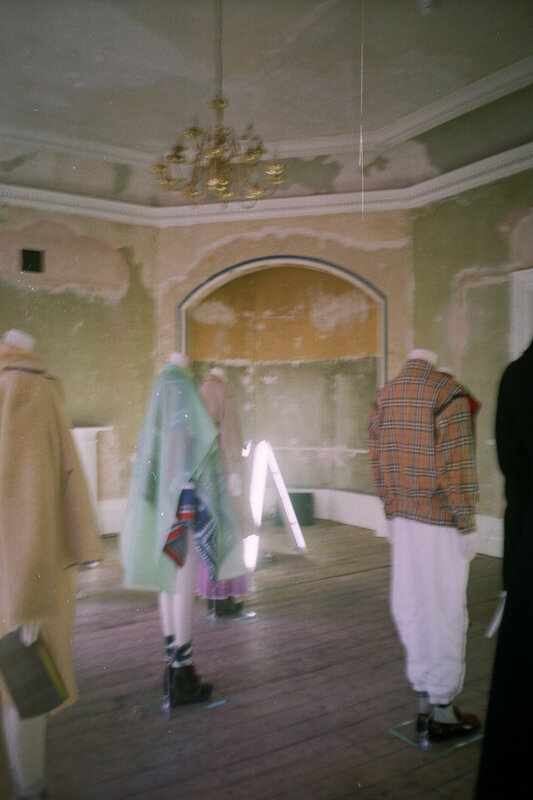 The Burberry September 2017 collection and an exhibition of photographs are spread across fourteen bare walled rooms that are in beautiful disrepair, with skirting boards so large my interior designer friend practically wept with joy. Young and old faces are pictured across all four British nations, ranging in backround and time period. We see picnics in fields of sheep, kissing and parties in Notting Hill, and the 'Ceremony' of the upper class. Photos on the right hand side are of a series of photographs taken by Gosha Rubchinskiy. They are described as taking "...Burberry's iconography as their subject...This is not an advertising campaign." The collection was available to buy in stores almost immediately under Bailey’s new ‘see now buy now’ model, implemented last September. It’s instant luxury, available to buy without the six month wait, putting the customer first. The brand is perfect for this model, says fashion writer Dal Chodha. But what about emerging designers who scramble to afford even their MA collections? New, ‘young’ designers need that precious six months in-between seasons to turn over production alone. We place so much importance on our emerging talent being ‘young’, but being a graduate can't last forever. 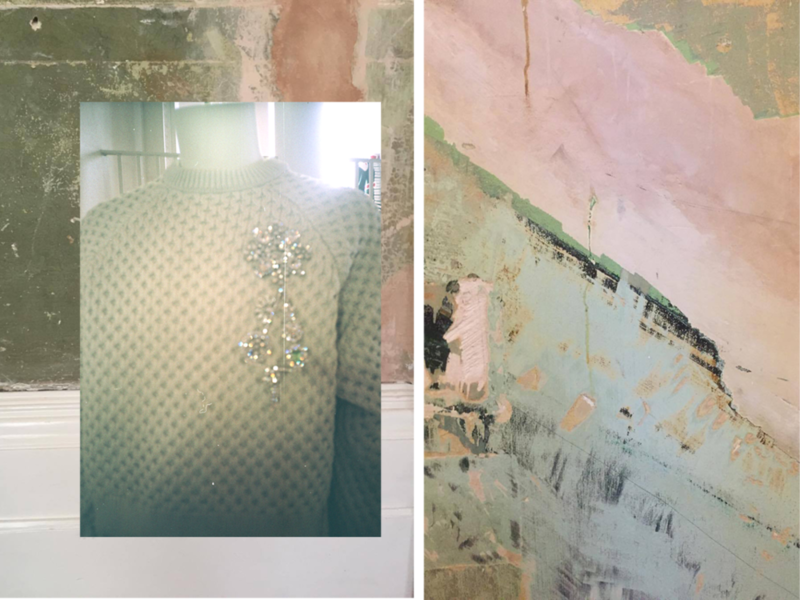 Mentor schemes including Fashion East, Newgen (note GEN-eration), and the BFC Fashion Fund give publicity and financial help to emerging designers, but one can’t help but wonder, will it sell? Will they be showing again in five years time? The fashion industry idolises and feeds off youth, basing campaigns and collections off it, and yet the young are the ones who seem to be struggling the most in the pecking order. How can we expect young designers to survive in a fast based game where the rules are made by big name brands like Burberry? And yet, young designers came up trumps once more this past London Fashion Week. Richard Quinn and Harry Evans were exciting new editions to the schedule, whilst it was my second season interning with Newgen designer Sadie Williams. The press release described her 'strong modern girls [who] go rambling in a disco meadow', and Williams beautifully mixed influences of folklore and tribes with some characteristic shimmer in textile and print. It was a season that talked a lot about British identity after a period of political turmoil, and I was excited to attend the first presentation of SOS ( Stephen Smith) for SS18, where tailored silk suits in shades of maroon and lime green stripes, clashed gloriously with silky mustard yellows. The models stood around a maypole in platform boots on a grass set surrounded by early morning skies and hay bales, whilst wearing Marie Antoinette style wigs that matched the richness of the custom made fabrics. The 'MAYDAY MAYDAY MAYDAY' collection played with ideas of ritual and opulence in a reaction to British politics. ALL PHOTOGRAPHY BY HETTY MAHLICH. 'Here We Are' is open 18 September – 01 October, 10am – 9pm.